Territories available: Asia excluding China. When teenagers JOSH (Louis Corbett) and LING (Li Lin Jin) join their respective parents, CHRIS (Sam Neill) and Dr LI (Wang Ji) on an archaeological dig in China they encounter something trapped beneath a temple beyond their wildest imagination. A real live Chinese dragon. Two thousand years earlier, to defend his kingdom, the dragon lent an emperor his all powerful pearl. Instead of being returned the pearl was buried with the emperor beneath his palace, and helpless without its source of power the dragon has remained entombed ever since. 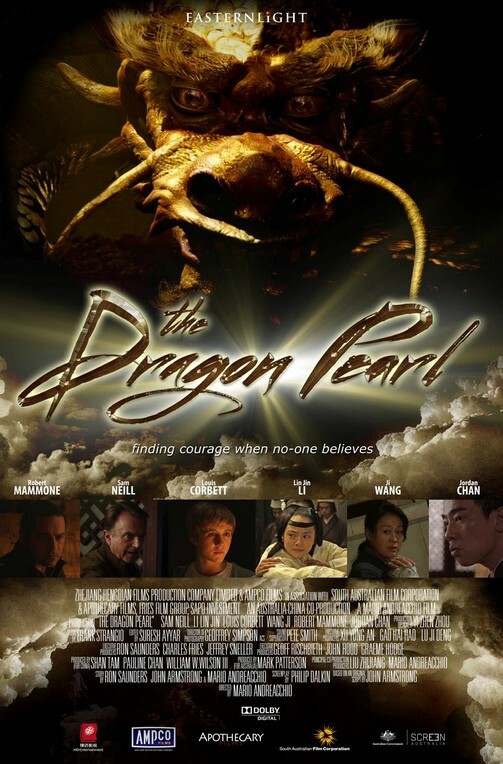 With the Dragon Pearl buried on the excavation site, Josh and Ling implore their parents for help, but met with disbelief the children realize they must find the pearl on their own. However there’s one who does believe them: archaeologist PHILIP DUKAS (Robert Mammone), who wants to seize the pearl’s awesome power for his own sinister ambitions. The only way to stop him is for Josh and Ling to get to it first and return it to its rightful owner.